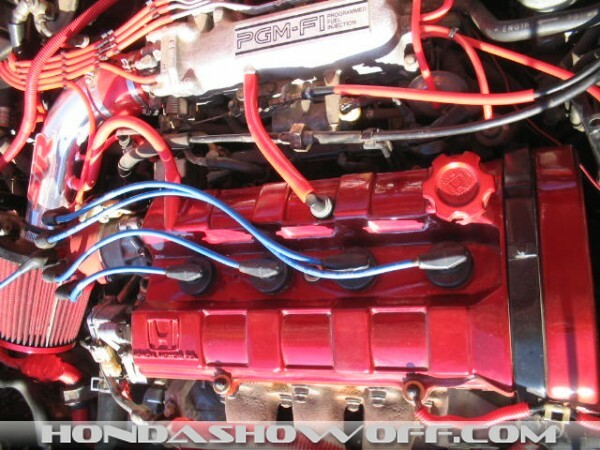 B20a with ngk plug wires,Tenzo ram air intake and red dress up kit. 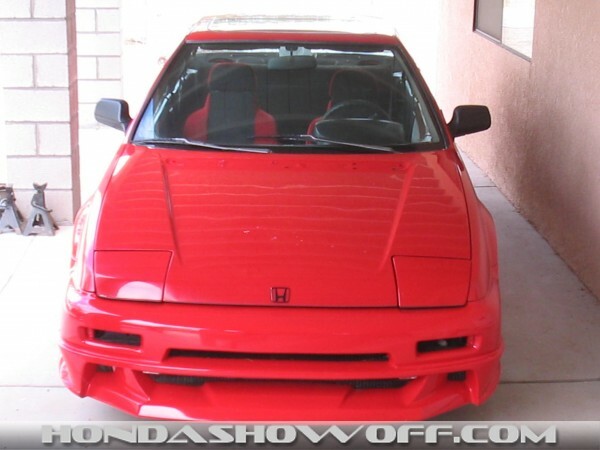 carbon fiber hood, street glow red or gold dont know yet,and full exaust system with pace-setter headers. 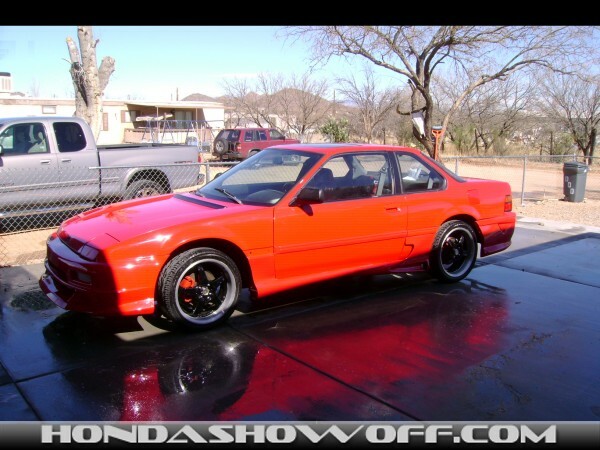 Nice Prelude! 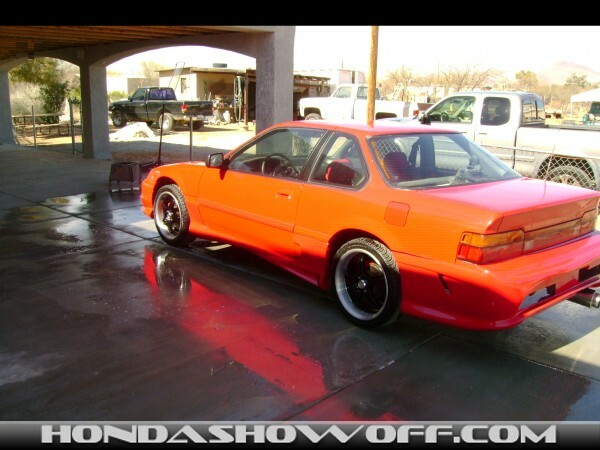 Those black rims with polished lip are awesome! 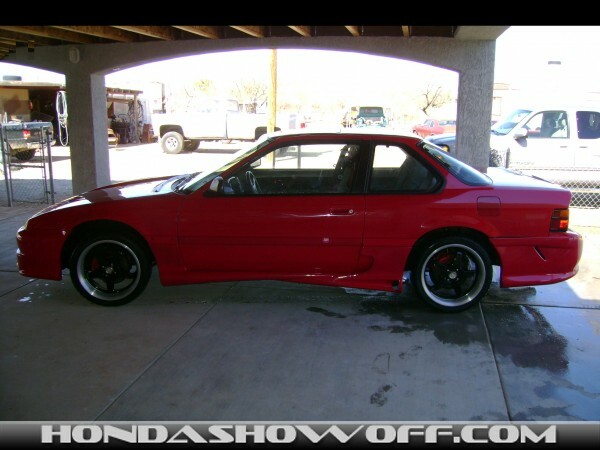 I also like the bodykit, haven't seen it on any other lude. 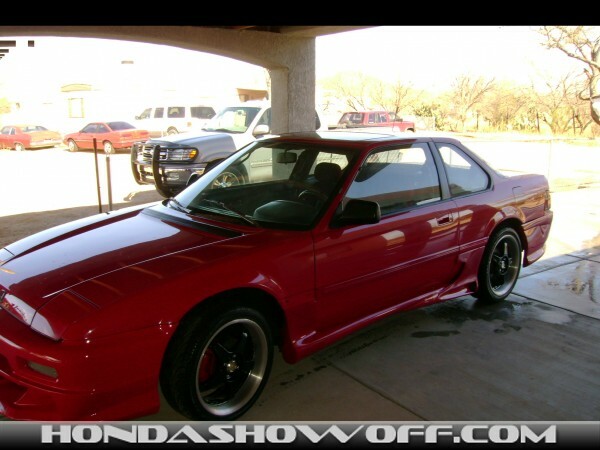 Nice lude man, I like the body kit, and the engine looks real clean man good to see others that take pride in older rides! 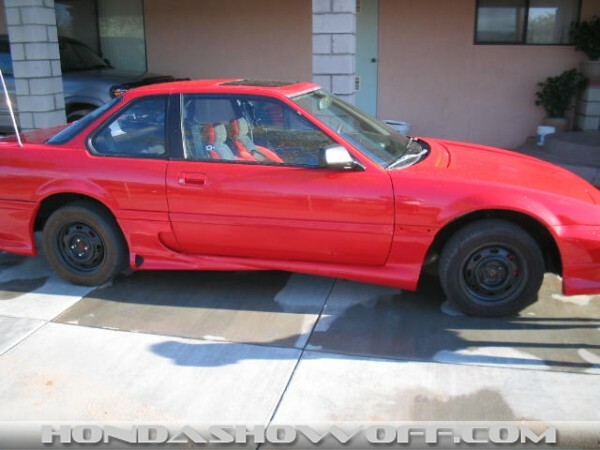 nice whip!.....i like the bodywork..
i really like this model prelude , got some more pics? 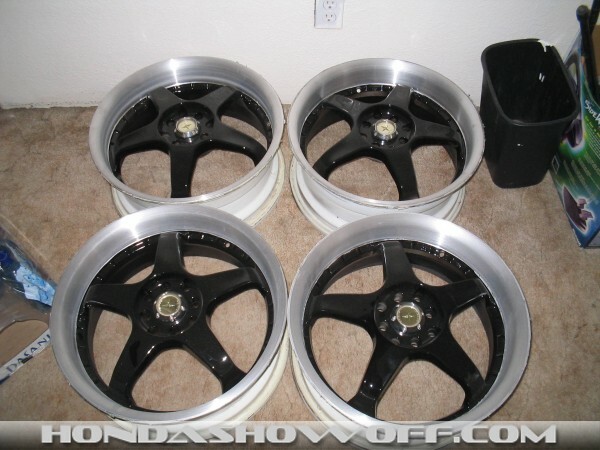 Nice rims and a Nice car... How about seeing them together? NICE RIMS ! !How much did you get it for>> I would like to buy 1 of those.. No really let me know where you got them.. Nice car by the way.